As silly as it sounds, even on vintage machines there is a desire to have modern technology readily on-hand. 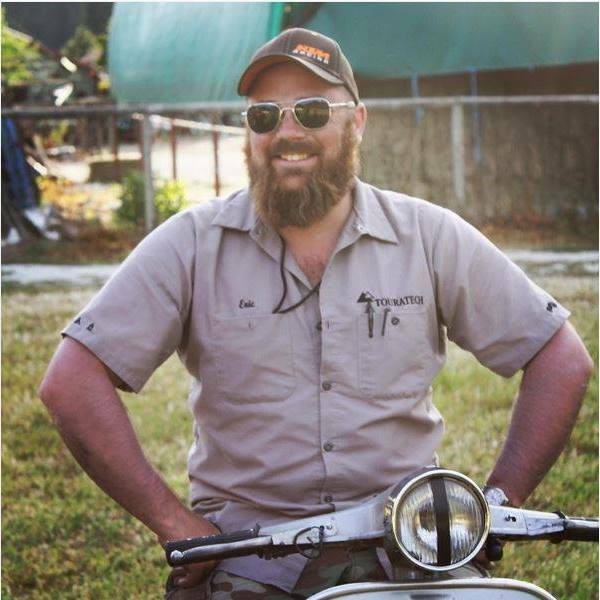 Personally I like the option to run a GPS, I have grown accustom to having a proper, dedicated navigation tool on a motorcycle or in my truck. A GPS can be a powerful tool, even beyond navigation. A GPS provides the ability to data log a speed run, to see an honest realtime readout of speed (not the hopeful numbers on a factory speedo), and to compare repeated tuning runs. On a more fun side I have also used action cameras (GoPro Hero or Garmin ViRB) to record on the road action. Cell phones are also getting mounted more and more often on handlebars. I’ve personally never mounted an iPhone on my handlebars, but can see the appeal with the plethora of navigation and data logging apps currently available. 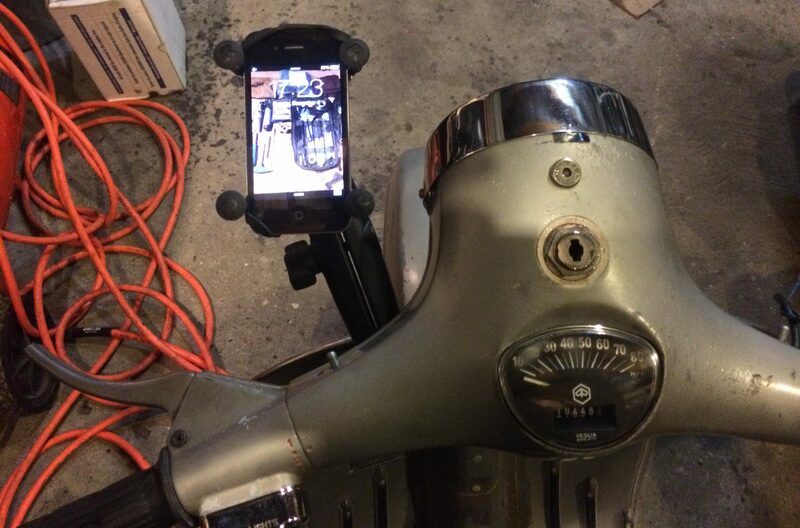 Regardless of the device you intend to mount on the bar of your vintage Vespa, I have found a solution. to the motorcycle, scooter, or car, and a second 1” ball mounted onto the back of the device mounting cradle, with an arm clamping the two balls together. On a motorcycle with a typical tubular handlebar RAM offers a simple U-bolt type mount. 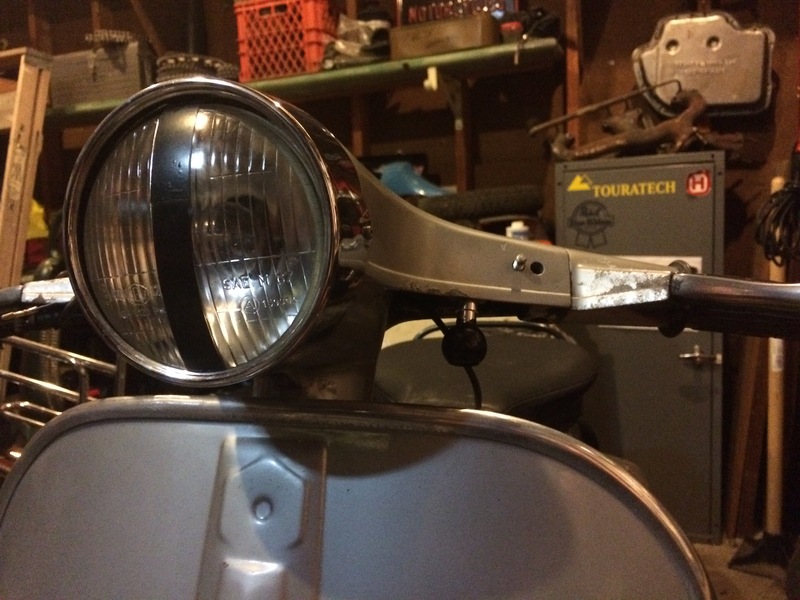 The cast handlebar on a vintage Vespa does not lend itself to this method of mounting. The solution is actually is the same that I use personally on my 2009 Husqvarna TE450, and most motorcycle applications. Part number GRA-367, is a 1” RAM ball with a hole drilled through it to accommodate a socket head M8 bolt. It was intended for replacing one of the handlebar clamp bolts, in turn the included bolts are 55mm, 60mm, and 65mm. 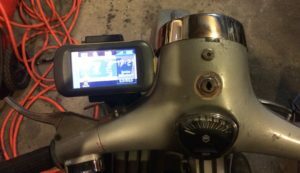 They cover the required lengths for most motorcycle handlebar clamp bolts with the RAM ball. For a vintage Vespa you’ll want to source a 40mm long bolt if you are have removed the mirror mount, and a 45mm long bolt if the mirror mounting plate has been retained. On both my 1976 Vespa Sprint Veloce and 1978 Vespa P200E there are threaded mounting holes on the underside of the cast handlebar for the mirror mounting plate. These holes are threaded, like motorcycle handlebar clamp bolts, in M8x1.25. Earlier Vespa’s might not have these threaded holes present, I don’t have any earlier examples in my garage to check this, so look at your scooter before ordering parts. One of the really nice things about the GRA-367 mounted under the bar is when you don’t have anything attached the ball goes unnoticed. 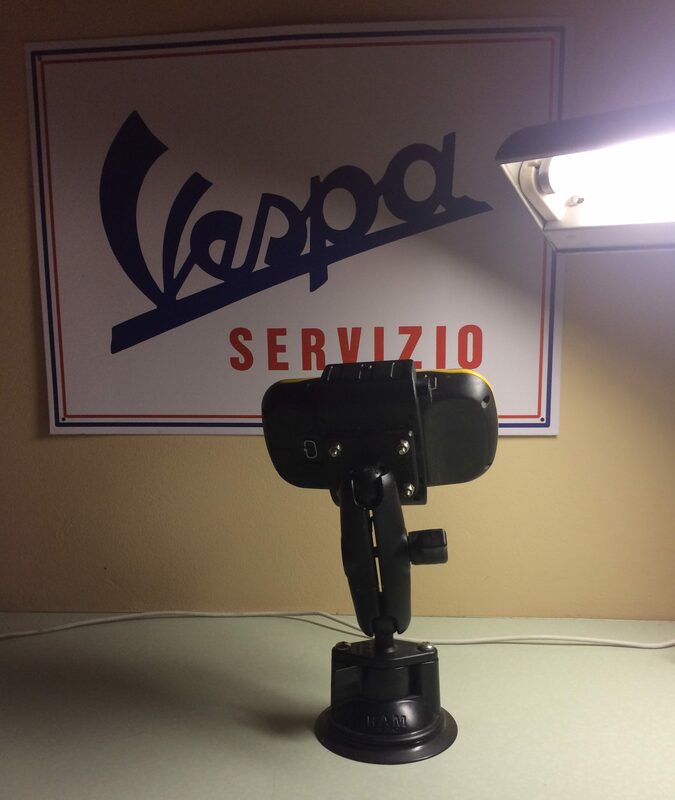 The ball mount is there, ready to go, but the lines of the Vespa are not interrupted. NOTE: When mounting any accessory bring the handlebar lock to lock to ensure nothing is going to bind. When I have run a GPS on my Sprint I have had the arm angled upwards to provide maximum clearance. On the P200E there is noticeable less clearance between the legshield and the ball, I would recommend trimming the extension on the GRA-367 down 1/4″-3/8th” to provide additional clearance or mounting the ball directly to the mirror mounting plate. 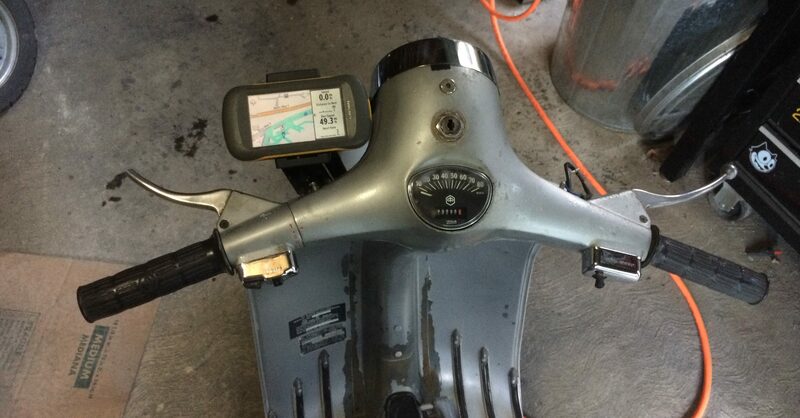 Here are some examples of a few different devices mounted to my Vespa Sprint Veloce. Part numbers will be listed below as clickable links. Here is my Garmin Montana 600 GPS mounted, the power cable from the mount has been removed since the Sprint is still running 6v. Once I install the P200E engine I am rebuilding that will provide 12v power I will likely add a power plug and run the GPS unit powered. This set-up would also work with a GoPro Hero series camera. 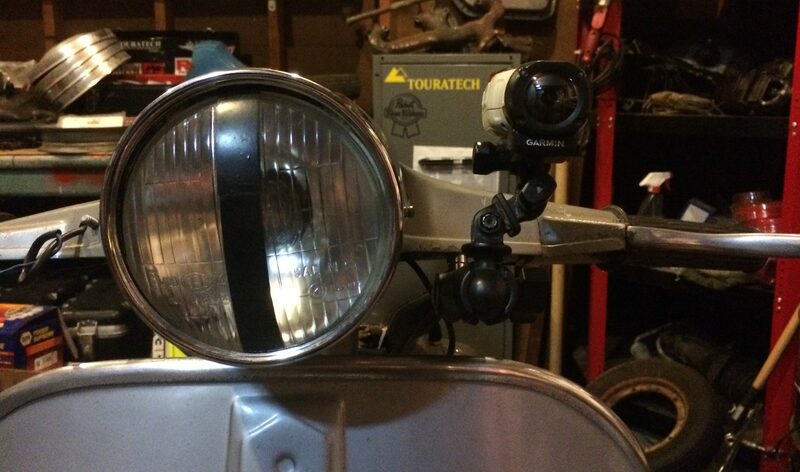 The camera can be mounted forward or facing the rider depending on the type of shot desired. If someone wanted to get fancy a camera could be mounted on either side, one facing each way and later edited together for a really slick ride video. The RAM X-Grip is probably the most popular phone mount RAM offers. It is a universal phone mount, and has since been updated to include a rubber webbing to hold the phone even more secure. For GPS units I still recommend the proper dedicated RAM mount, but many have used automotive type GPS’s in these mounts. Since I had a rollchart kicking around from time-keeping enduros and other off-road type events I’m including it here. I find rollchart type navigation to be a fun challenge, this is a scaled down version of how events like the Dakar Rallye are navigated. I have heard of a few scooter rallies, such as the Top Dead Center SC’s Oregon 100, that use rollcharts to turn a ride into a proper European Style Rallye. My set-up uses a Touratech Compact Roadbook, which is a professional grade, crazy rugged unit, that sold for over $100 but is now discontinued. The same sort of mounting can be used with a more basic unit like the one from Moose Racing listed below. These are all examples of uses, RAM has mounts for just about anything you can think of. The keystone is the GRA-367 on the scooter side. Being such a modular system means with minimal investment a device can be quickly moved between vehicles or removed leaving only an 1” ball. All of my motorcycles and scooters have RAM mounts, as well as my bicycle (GRAH) and truck (GRAST). All of the part numbers above will link you to Touratech-USA’s website where I ordered them from. I look forward to hearing about what you mount on your scooter. Good luck out there, have fun, and Godspeed. 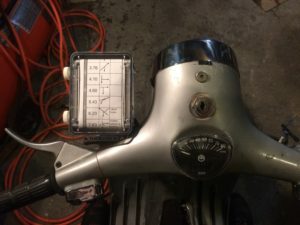 It looks like you are using some of the same parts, I think the some of the part number differences are based on my using Touratech-USA part numbers rather than RAM Mounts part numbers. The angled RAM ball mount with a 9mm hole does work well under a mirror in many applications. On a vintage Vespa, when not using mirror mounting plates, my use of the GRA-367 (Ball with 8mm hole) results in a much cleaner installation. The awesome part about RAM mounts is the large number of options to make the perfect installation for almost any application. Thanks for the tip on mounting a RAM X-Grip on modern scooters!